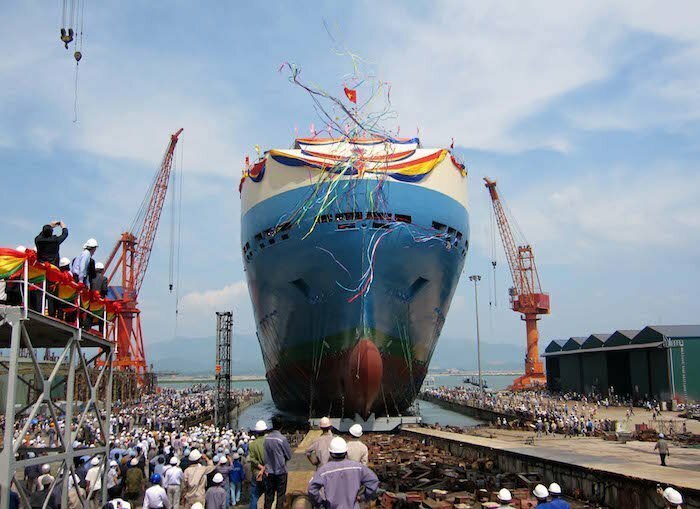 Four former executives of state-run Vietnam Shipbuilding Industry Group (Vinashin), now Shipbuilding Industry Corporation (SBIC), have been charged by Vietnam’s Supreme People’s Court for corruption activities. The accused four are Nguyen Ngoc Su former chairman of Vinashin’s members’ council, former general director Truong Van Tuyen, former deputy general director Pham Thanh Son, and former chief accountant Tran Duc Chinh, were charged with “abusing power to appropriate assets”. According to the court’s indictment, the four together agreed to make fixed-term deposits at OceanBank to gain extra interest that was not stated in deposit contracts. They have gained illegal income of VND10bn ($431,000) in total for themselves. The case is part of the corruption investigations into the former chairman of OceanBank Ha Van Tham and his accomplices. Vietnam has been making efforts to crack down on corruption in the maritime sector, and have sent a number of officials from both Vinashin and Vinashinlines to prision.